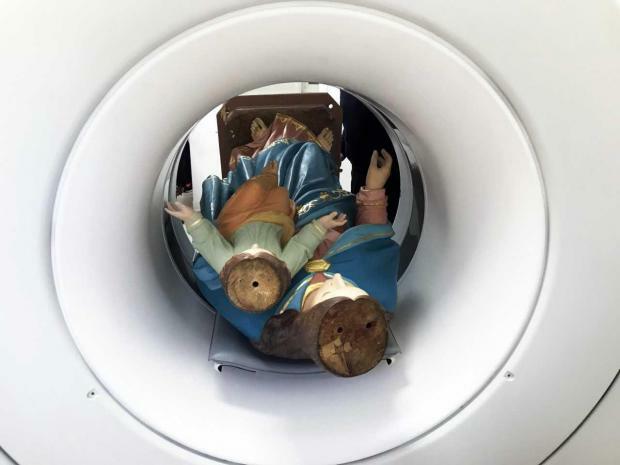 A wooden statue of Our Lady Help of Christians venerated at St Patrick Church in Sliema has undergone a CT Scan at Da Vinci Hospital ahead of restoration. Paul Muscat, director of restoration company Recoop, said the scan provided vital information prior to the restoration process. It established the age of the statue, how many pieces of wood were used, the methods used to fix the pieces together as well as information whether there was a biological infestation or cracks that could not be seen on the surface. The statue was made early in the last century.